This charming indoor/outdoor brewery and tasting room offers a simple lineup of clean, flavorful and relatively low-alcohol beers. Opened by a La Mesa local, the place accomplishes a community vibe, serving beers for varying tastes, made for sipping among friends at a dog-friendly venue. Depending on the day of the week, you may find food trucks and/or live music; you will always find crisp, seasonable beers. On weekend evenings, the venue hosts local musicians. 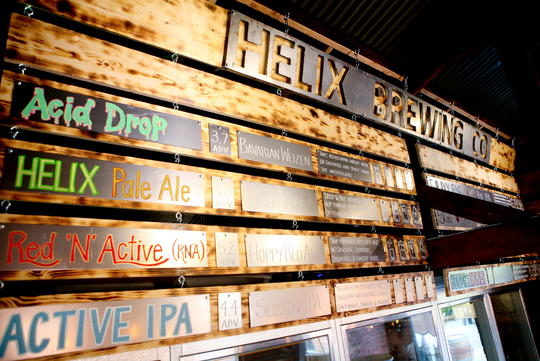 "Things are rocking at Helix," says owner and brewer Cameron Ball. He cites local reggae songwriter Casey Turner and Ocean Beach surf-rock tribute band as frequent regulars.